Exhaust system: 2-1-2 full titanium system with stainless steel exhaust headers, catalytic converter and 2 lambda probes. Twin titanium mufflers. Wheels: 3 spoke W shape forged light alloy. Pirelli Diablo Supercorsa SP tyres. Comments: Traction control. 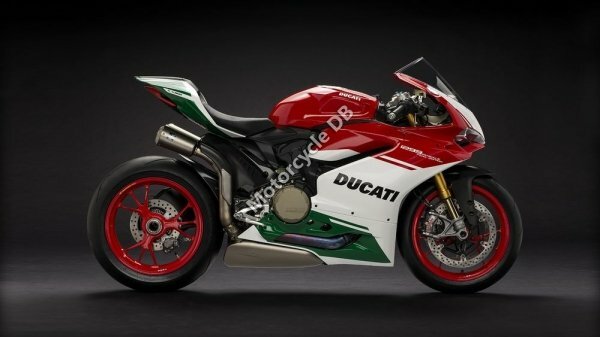 Also called Ducati Panigale 1299 R FE. Limted edition.